Truly wireless earbuds have recently caught the attention of the tech world with small startups mainly drawing all the attention. Samsung is the first major player to enter this new niche and their first attempt, the Gear IconX looks quite promising. These bluetooth earbuds have no wires connecting them (hence truly wireless). They are independent with their own battery and sensors. 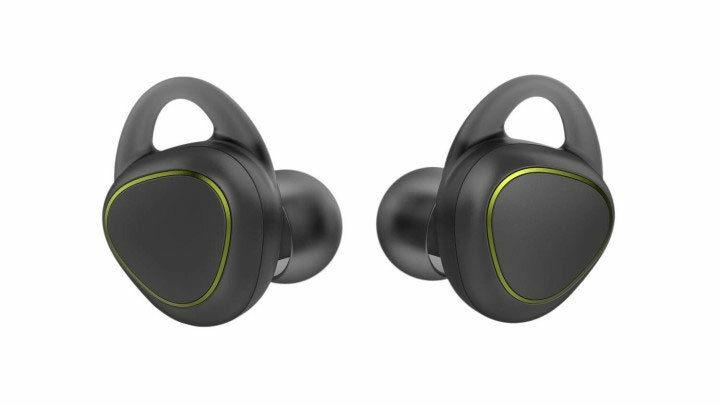 They automatically activate when you put them in your ears and are controlled by capacitive touch sensors similar to Samsung’s Level line of products. The IconX is targeted towards the fitness crowd. It automatically tracks steps and other exercises and even has a heart rate sensor. These later sync with Samsung’s S Health app. There is an ambient sound mode too which lets you listen to your surrounding while the earbuds are in your ears. The earbuds themselves come in three sizes (small, medium and large) with varying sized eartips and wingtips to accommodate different ear sizes and shapes. They are designed such that the earbuds stay in place even through intense activity. The earbuds are splash resistant so they can handle your sweat but do not take them into the rain or a for swimming. With 4GB of built in storage, you can take your music with you and leave your phone behind. The accompanying app on your phone gives a quick glance at the battery life of each earbud, song currently playing, activity stats as well as access to various settings. The IconX’s battery life though is the main compromise. With Bluetooth on, it only plays music for 1.5 hours. If you choose to use the built in storage that number rises to about 4 hours. For this reason, the IconX comes with a neat charging case which can fully charge the earbuds twice. The Samsung Gear IconX will go on sale at $199 in the third quarter of 2016. Available colours will be black, blue and white. The earbuds will be compatible with Android devices running Android 4.4 KitKat and above (so long as you have 1.5GB RAM) but will not work with iOS or Windows Phone devices.